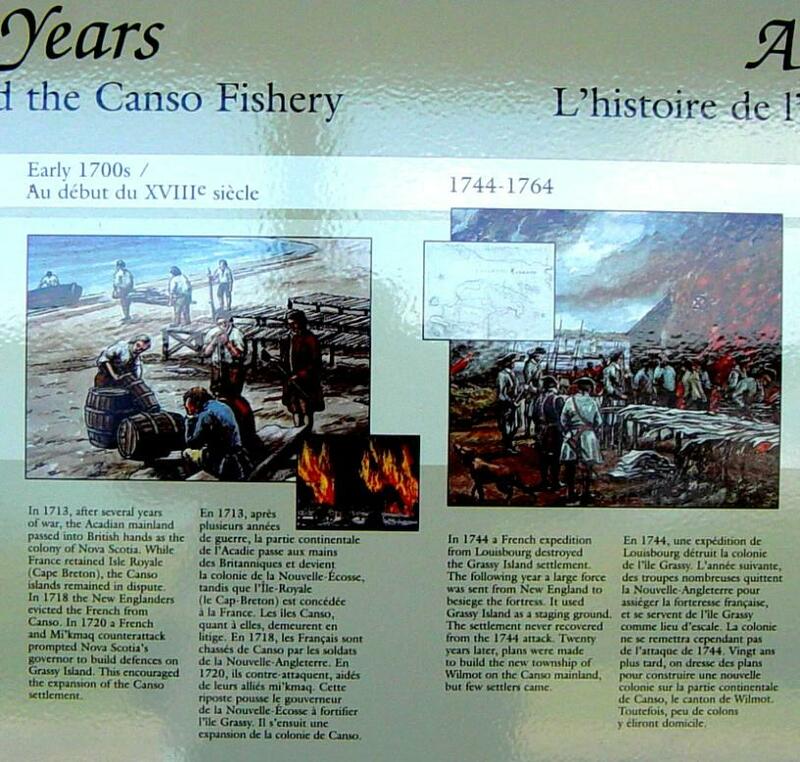 rivalry between England and France for control of North America. 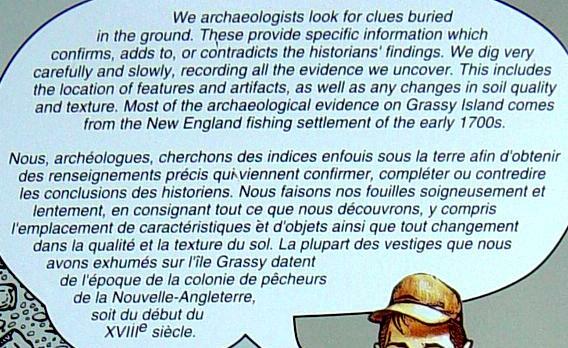 recent historical and archaeological research. 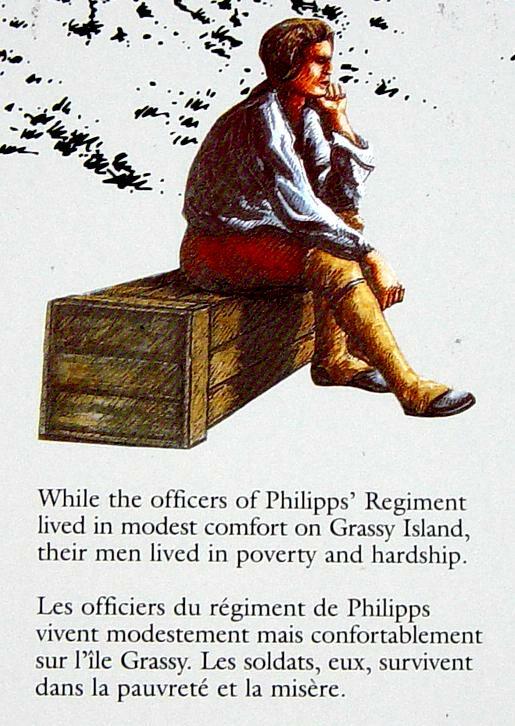 1744 March 18: War is declared between France and England, The War of the Austrian Succession, or in the simpler American nomenclature, "King George's War," or "Governor's Shirley's War." 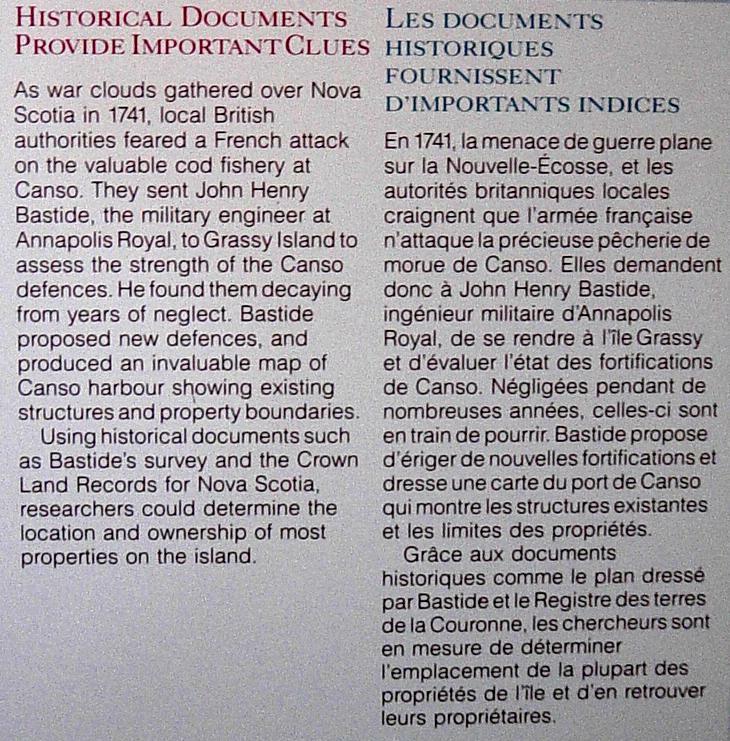 1744 May 3: Louisbourg gets the news (a ship from St. Malo) that England and France are at war. 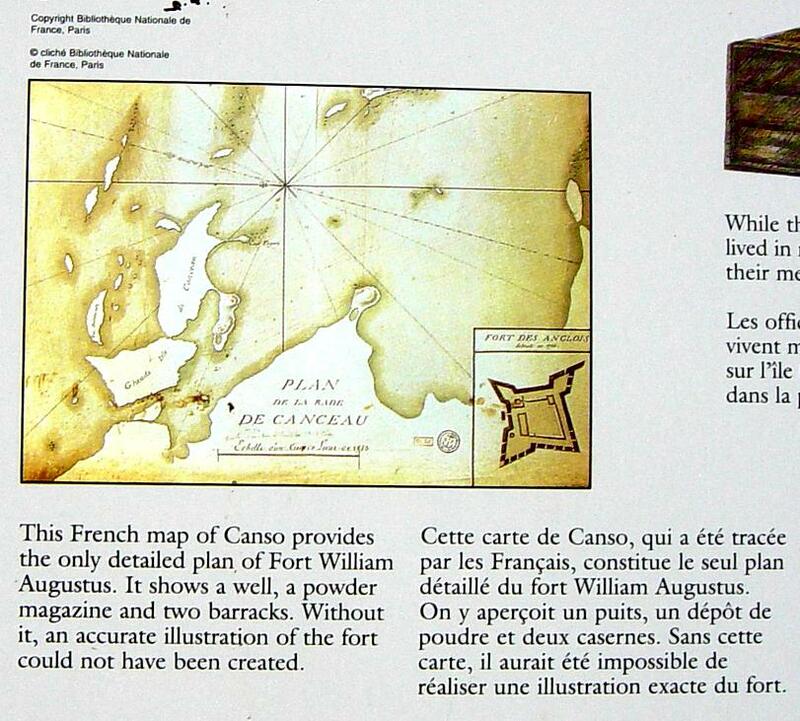 1744 May 13/24: The French attack and take Grassy Island Fort at Canso. 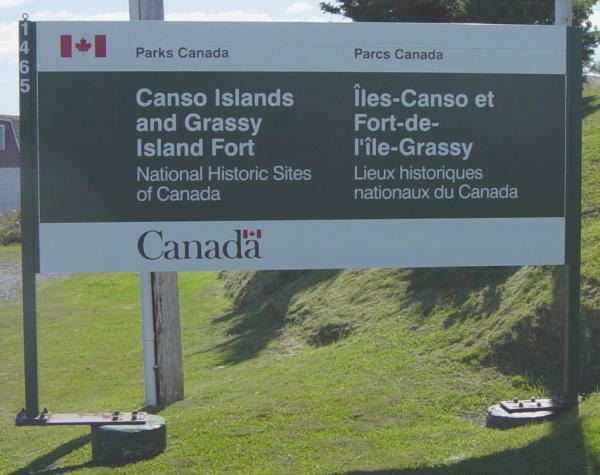 Grassy Island National Historic Site sign at 1465 Union Street, Canso. 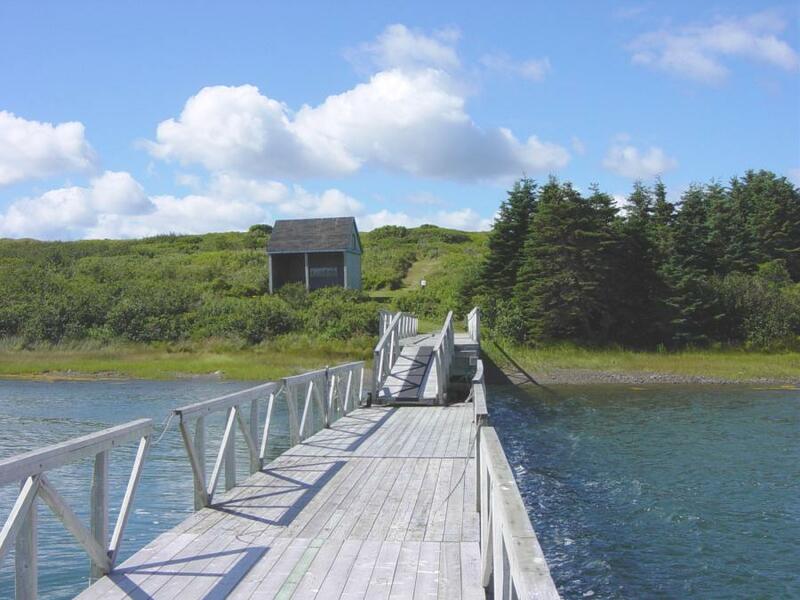 Looking eastward toward Grassy Island. 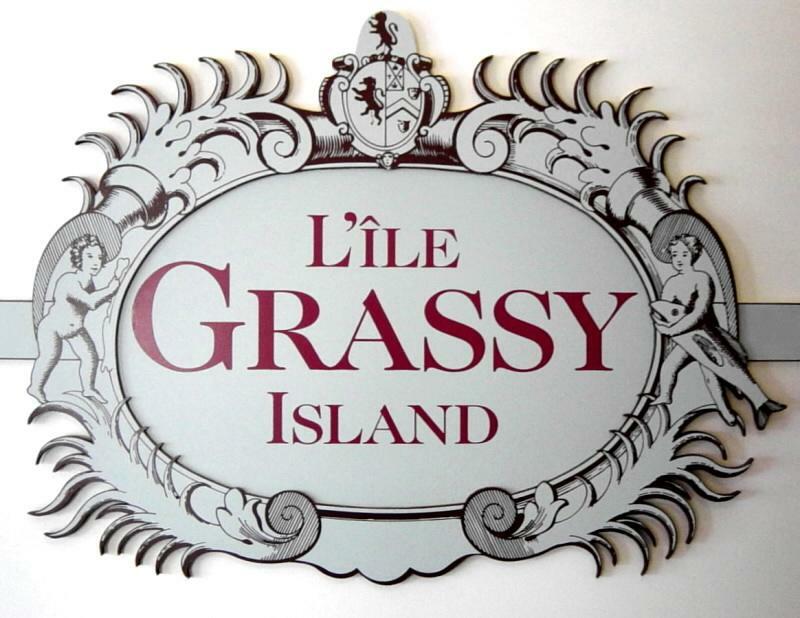 Approaching the landing stage on the north side of Grassy Island. lie at the top of the hill beyond the interpretative hut. Looking southwest across the ruins of Fort William Augustus toward the town of Canso. 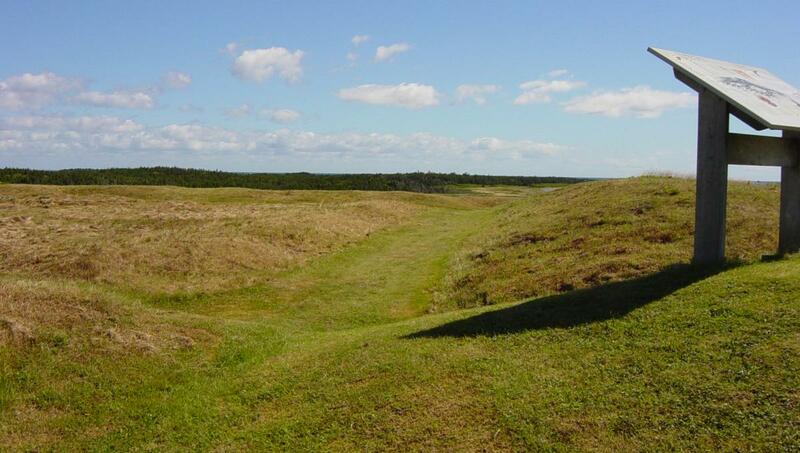 Looking northeast across the ruins of Fort William Augustus. 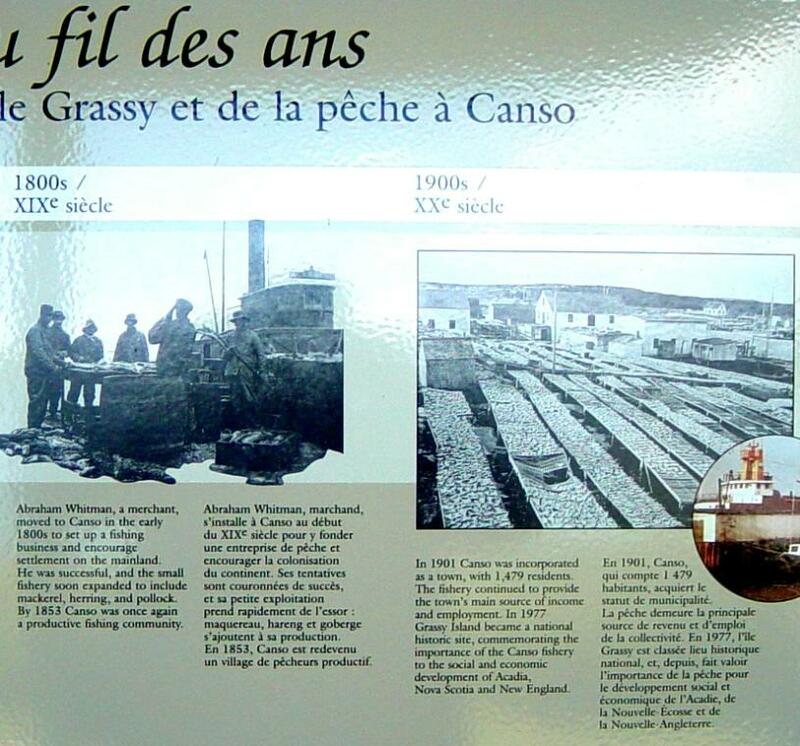 The photographs above and below were taken on 18 August 2005. 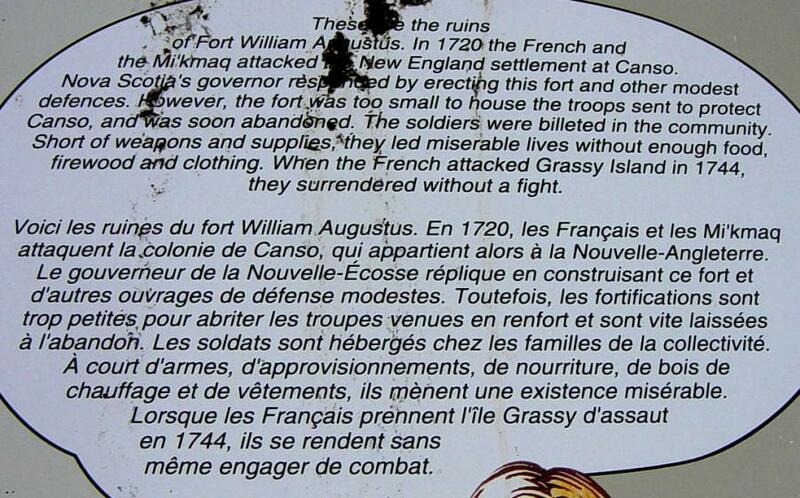 Detail of the interpretative panel at the ruins of Fort William Augustus. Looking northwest. 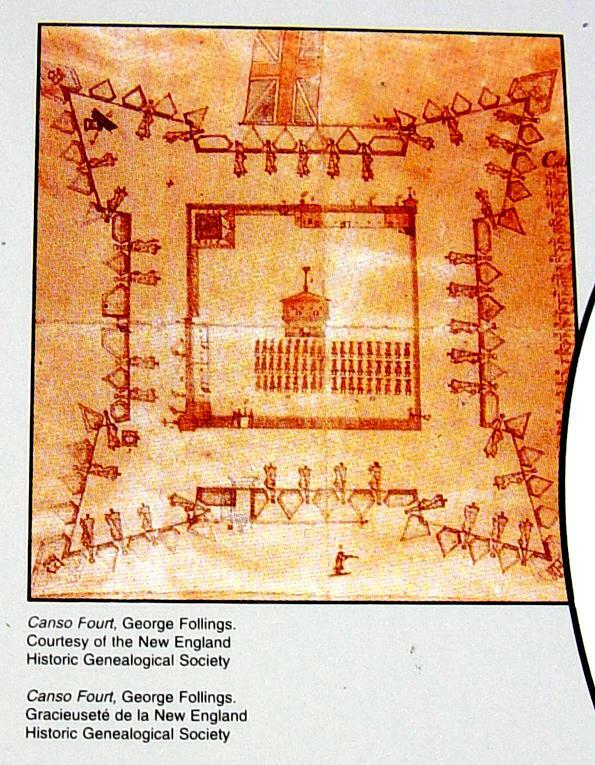 Beyond the interpretative panel are the ruins of Fort William Augustus. 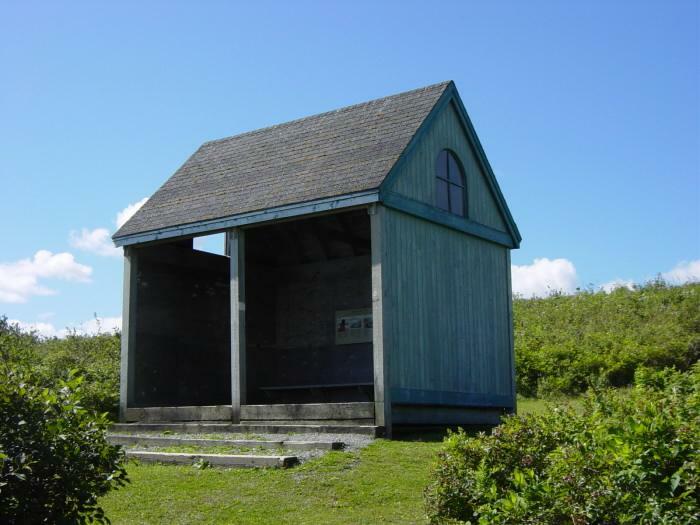 The interpretative hut at Grassy Island landing. 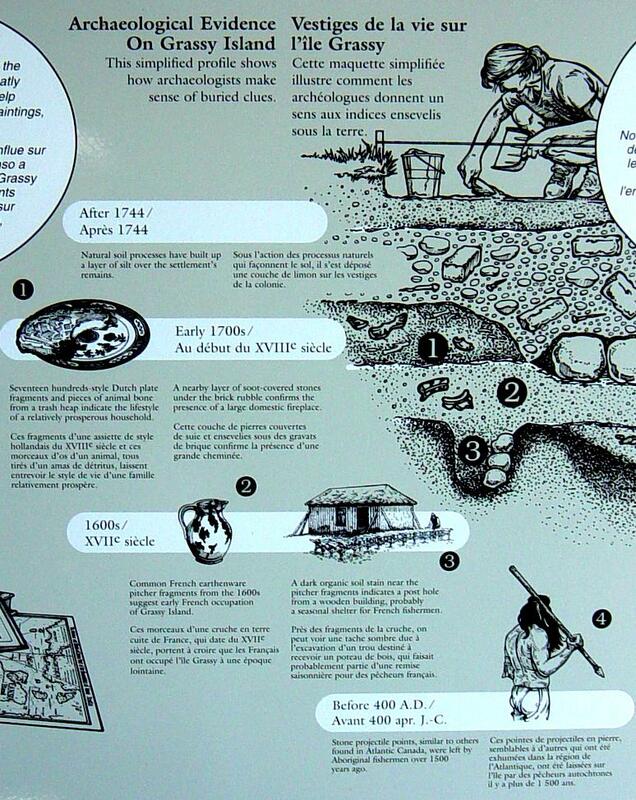 Detail of west interpretative panel at Grassy Island landing hut. 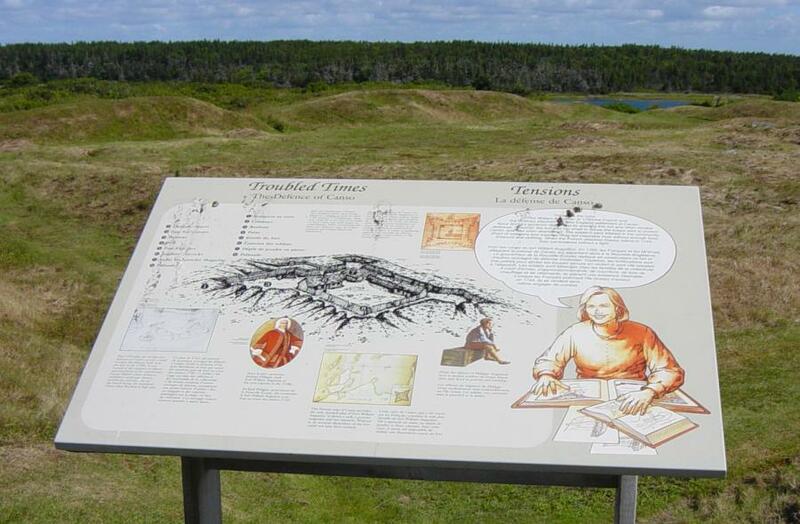 West interpretative panel at Grassy Island landing hut. 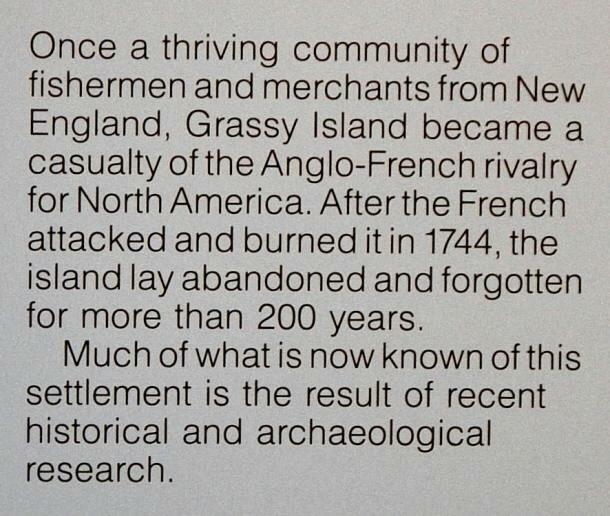 Detail of east interpretative panel at Grassy Island landing hut. 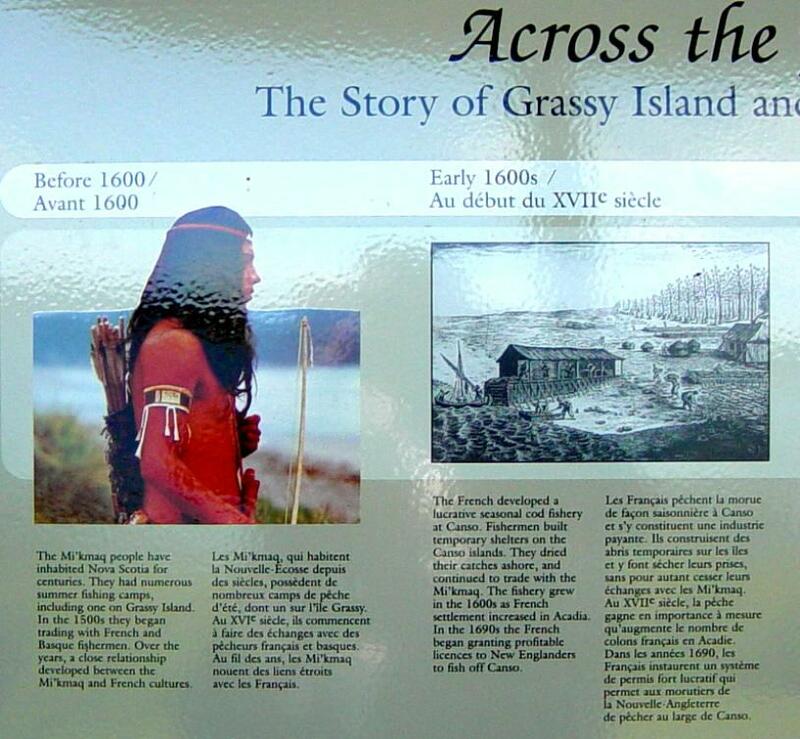 East interpretative panel at Grassy Island landing hut. 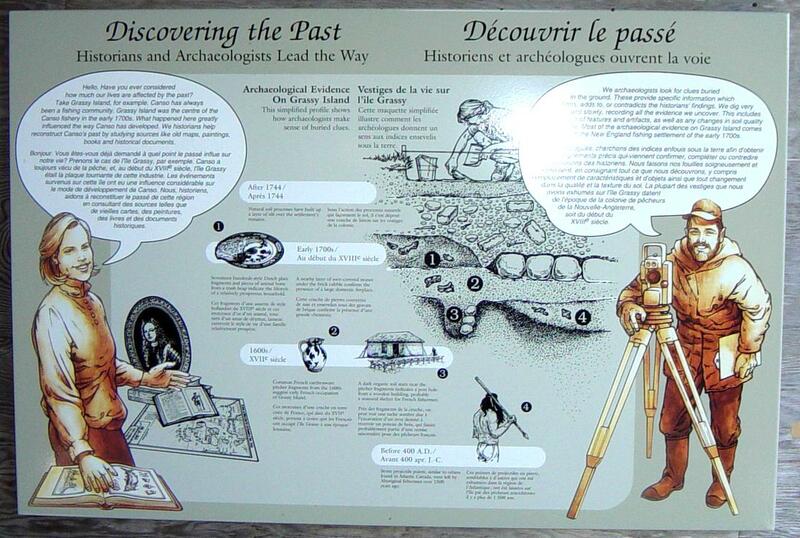 The interpretative centre on Union Street, Canso. 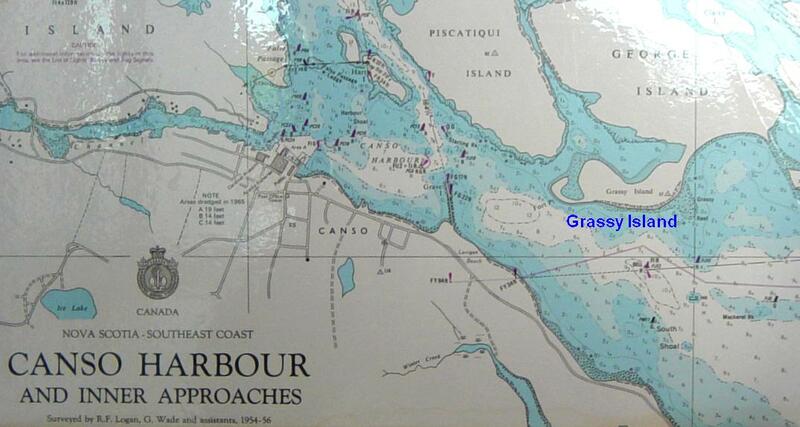 Map of Canso Harbour, showing Grassy Island. 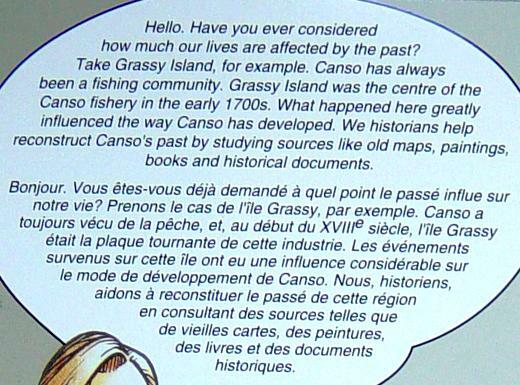 ...By the early 1990s Grassy Island National Historic Site was in operation. 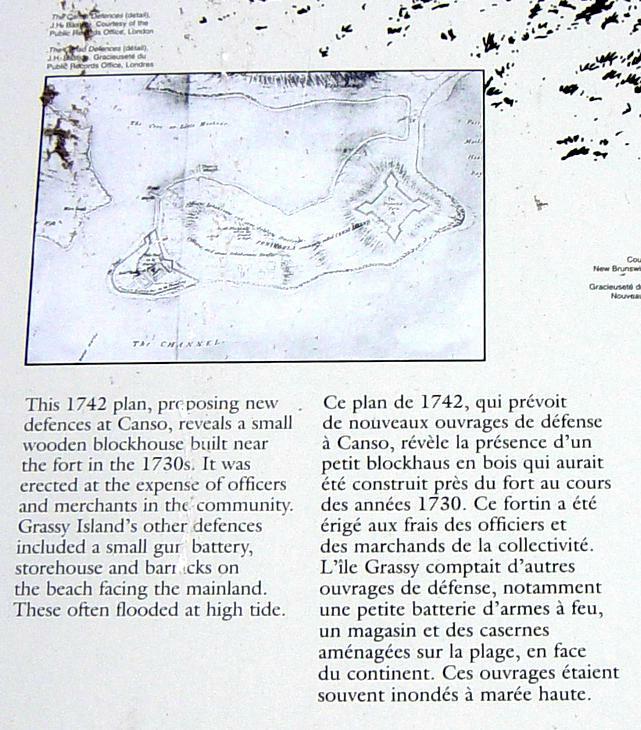 themselves with the site's story before taking a boat to the Island. 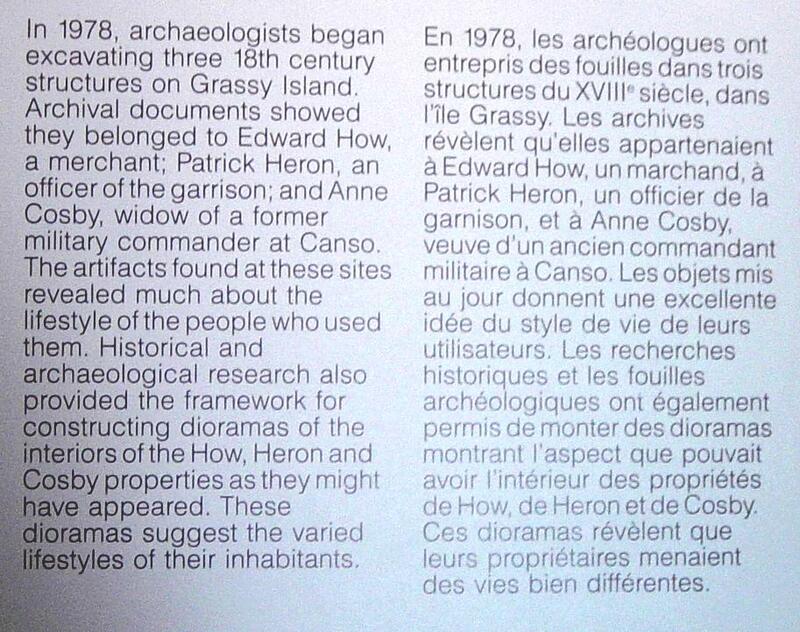 hill and inspect the sites of other structures which once stood on the Island. 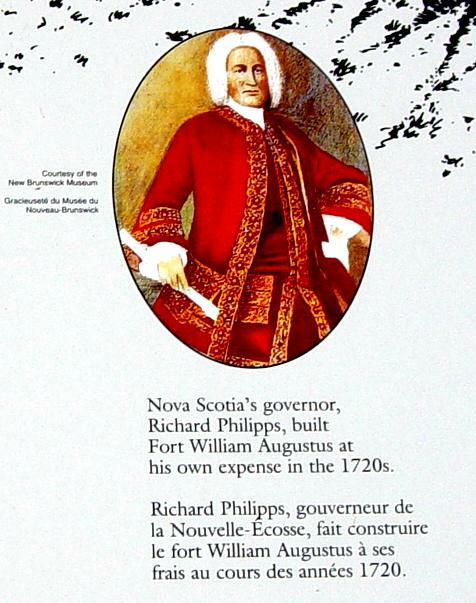 to make a substantial contribution to the economy of the Canso area.